Mattisborgen seen from Ulvsundavägen with a calm expression towards the streets. 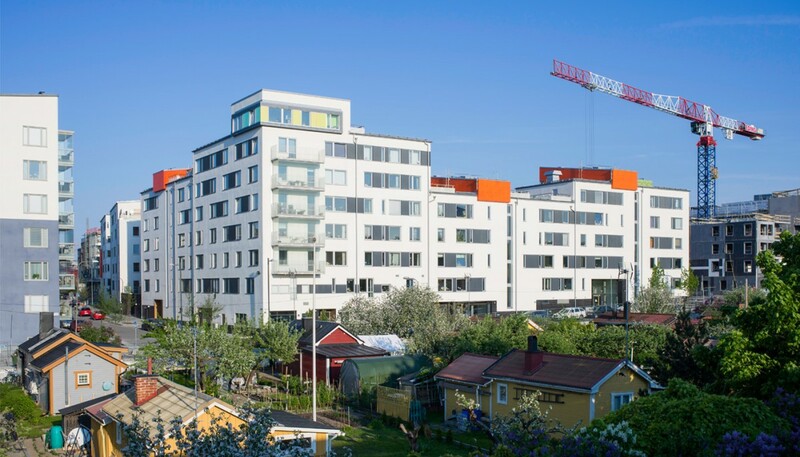 The urban residential block with rental housing shapes a U where the open side faces two freestanding buildings and the nature behind. The block opens up towards the central park to the east and closes off towards Ulvsundavägen with heavy traffic to the west. 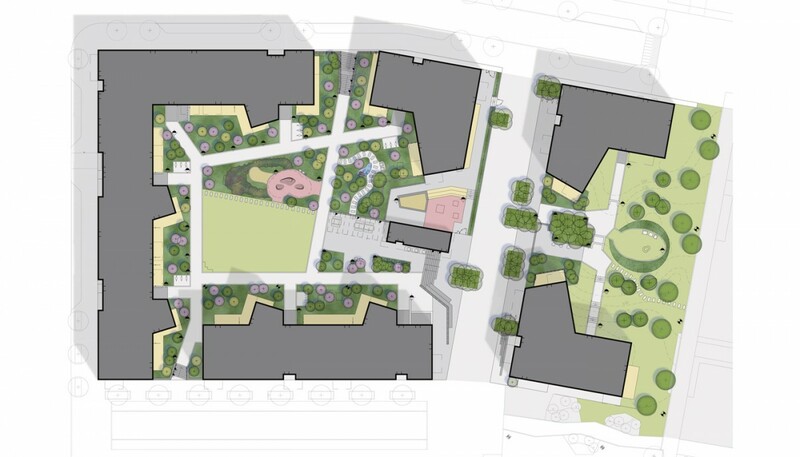 The buildings have a range of heights from 4 to 8 floor levels with a playful roofscape and inner courtyard. 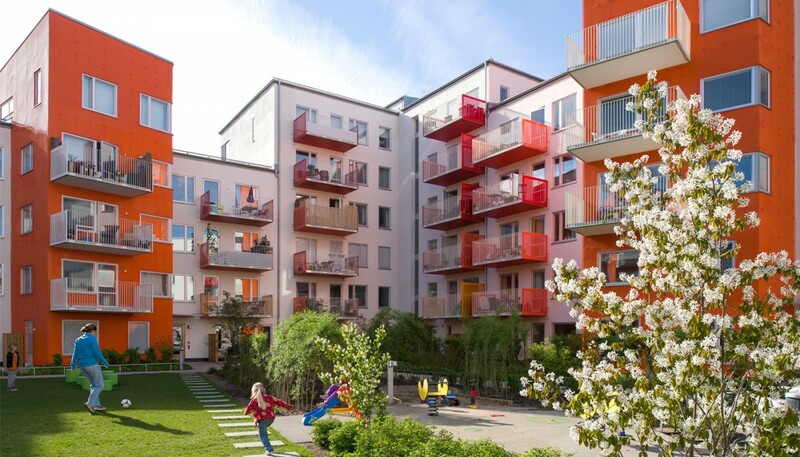 Mattisborgen is part of Annedal, a residential area including parks, cafés, schools etcetera, and is positioned in the northeast of Stockholm. 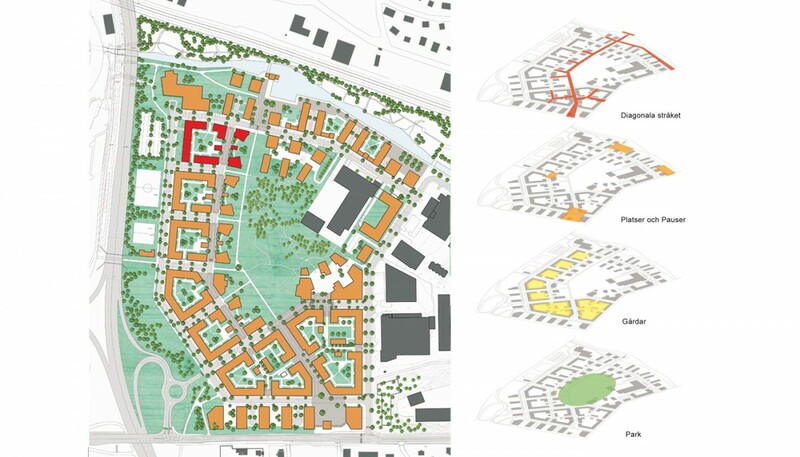 The masterplan is based on the winning proposal also designed by Tovatt Architects & Planners submitted for in an international competition in 2003 and further developed in close collaboration with the city. 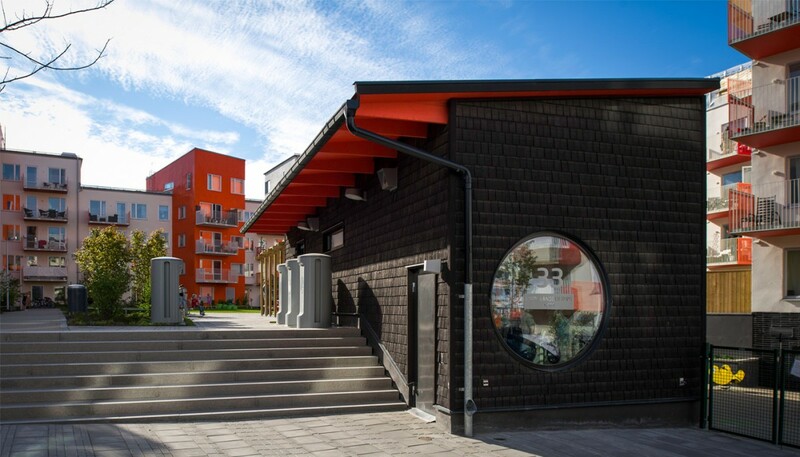 Two buildings within the block is built as ‘passive houses’, which means that they require no heating energy other than passive solar heating and heat generated from lighting and household electrical equipment. This places a high demand on the buildings insulation efficiency. Project type: Building permit and construction drawings of a residential block. The design is based on a masterplan also designed by Tovatt Architects & Planners. 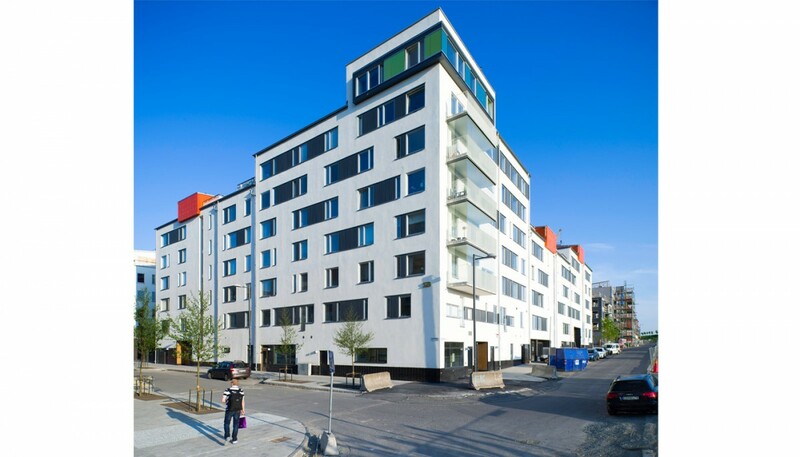 Please contact Magnus Andersson if you want to know more about the project or how we work with housing projects. The courtyard with a more playful and colourful expression. The block opens up towards the central park to the east and closes off towards Ulvsundavägen with heavy traffic to the west. The small "laundry house" placed in the transition between the public path leading north/south and the residential courtyard. A street corner with glazed balconies and horizontal grouping of windows adding a bit of playfulness to the calm façades.